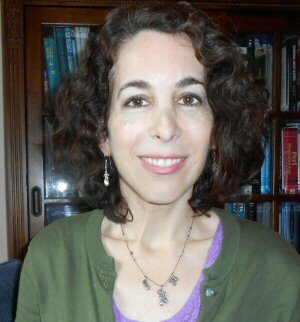 Bess Greenfield grew up in Pittsburgh and graduated from Cornell University and University of Pittsburgh School of Law. Before coming to the conclusion that she should pursue her passion and become a novelist, she worked as a journalist for several newspapers, as a lawyer, and as a waitress (disastrously). She is a lifelong aficionado of romantic literature and currently lives in Northern Virginia with her husband, three children, and overly affectionate chocolate Labrador. When she is not dreaming up and researching new stories or driving her children somewhere, she enjoys traveling, walking in the forest, and adding to her growing collection of native Virginia plants. 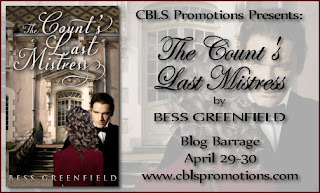 For more information about Bess Greenfield and her books, please visit www.bessgreenfield.com. Prize is an eBook copy of "The Count's Last Mistress". Contest is tour-wide and ends May 5. Must be 18 years of age or older to enter. To follow the rest of this tour, click on the schedule here. Hurrah, that's what I was looking for, what a material! existing here at this web site, thanks admin of this site.